It's been awhile. 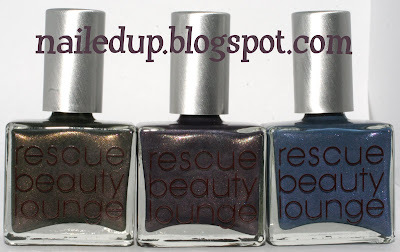 I received these three Rescue Beauty Lounge polishes from the new collection in the mail today (from my pre-order). I did not order Jane. 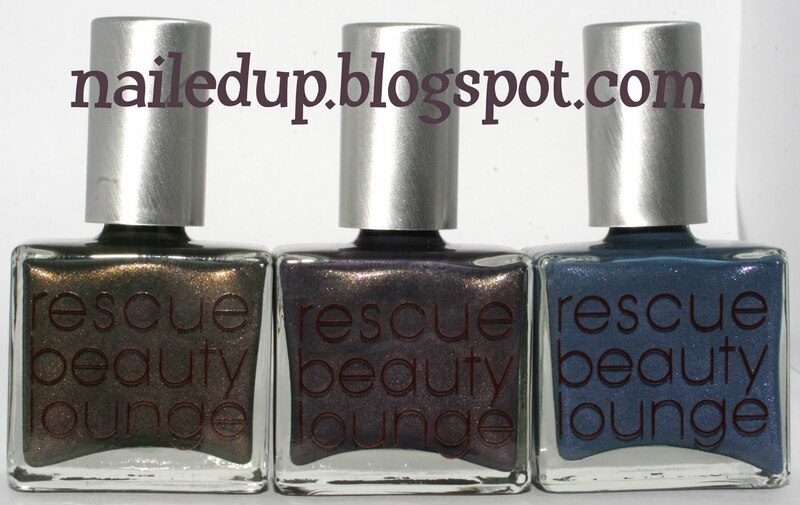 I believe these will be made available on the Rescue Beauty Lounge site this week. 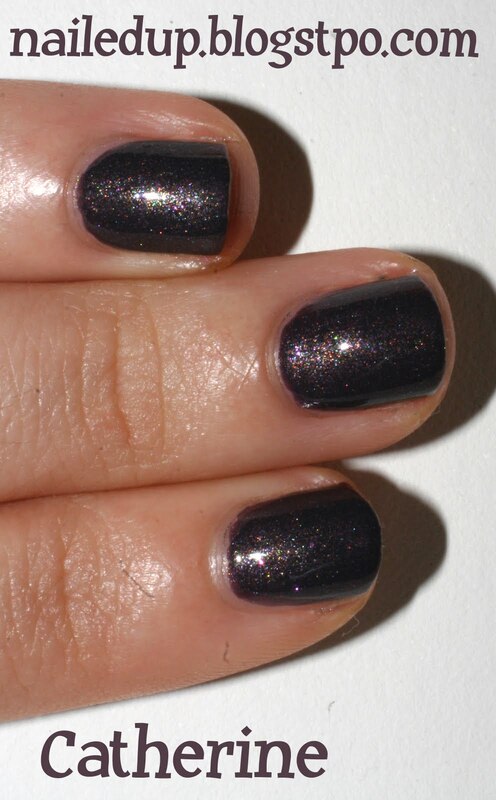 Jane—my (current) favorite polish, named for Henry's favorite wife, is a pale gray pearl with sheer washes of pink and gold. I compared them to my stash. 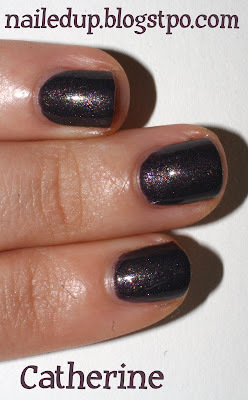 Catherine was unique amongst my purples. 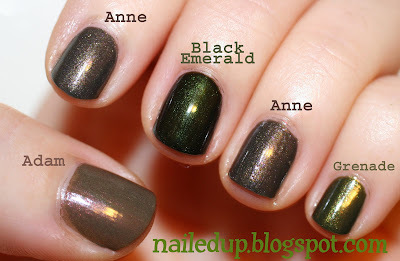 Anne resembled a few greens from BB Couture, but as you can see from the comparisons below I found no dupes. 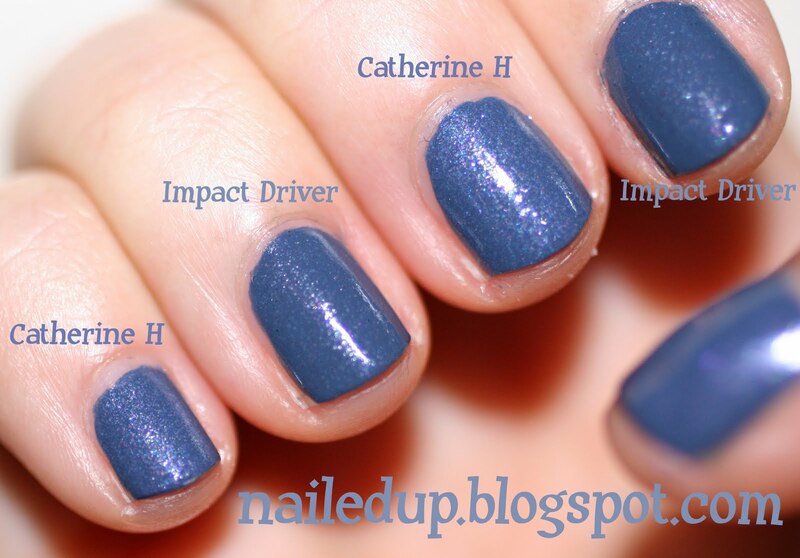 I believe that Catherine H is *almost* an exact dupe of BB Couture for Men Impact Driver. 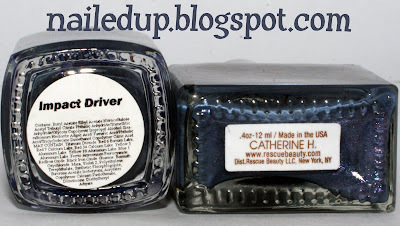 There are slight differences - Catherine H has slightly more purple shimmer and I believe that Impact Driver may have a few grains of black glitter - but Impact Driver applies better and is cheaper so it would make a fine alternative. 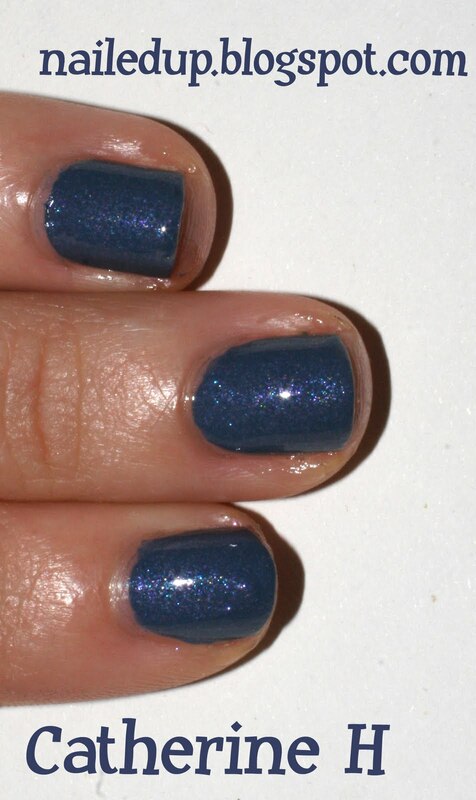 All of these swatches are two coats and photographs were taken indoors using an artificial light source. 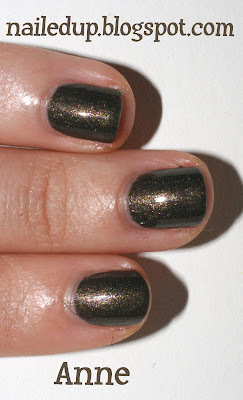 Thanks for the comparisons. 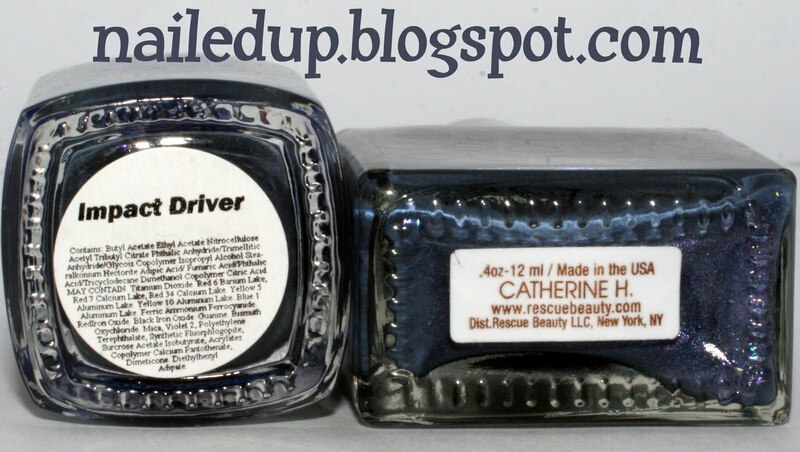 I have Impact Driver. 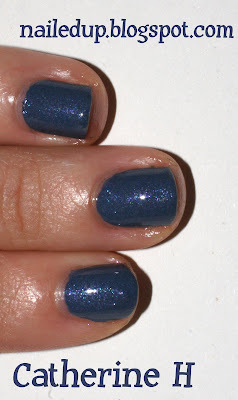 It is a gorgeous shade of blue. 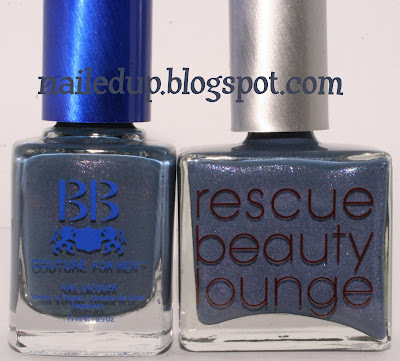 Love BB Couture polishes! They are the best. 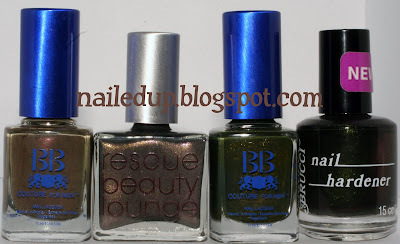 They also have the best greens out of any polish brand!